Renewable energy is energy that is gathered from renewable resources, which are naturally reloaded on a human timescale. for example sunlight, rain, wind, waves, tides, and geothermal heat. Renewable energy frequently provides energy in 4 important areas. air and water heating cooling, electricity generation, rural (off grid) energy services, and transportation. Renewable energy resources are present over wide environmental areas, on the contrary to other energy sources. Rapid consumption of renewable energy and power efficiency is resulting in major energy security, weather change mitigation, and economic advantages. The consequences of a recent literature’ review concluded that as greenhouse gas (G H G) emitters start to be held accountable for damages resulting from G H G emissions resulting in climate change. a high rate for liability alleviation would supply powerful incentives for consumption of renewable energy technologies. In international public view surveys there is tough support for developing renewable sources like solar power and wind power. At the nationwide, at least 30 nations around the world by now have renewable energy contributing more than 20 % of energy supply. National renewable energy markets are expected to continue to develop strongly in the future decade and beyond. The two countries Iceland and Norway generate all their electricity using renewable energy already. And many other countries have set a goal to reach 100% renewable energy in the future. For example, in Denmark the government decided to switch the total energy supply to 100 percent renewable energy by 2050. 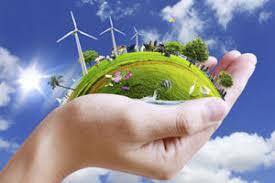 Renewable energy is the most advantageous and atmosphere friendly energy source which are never going to fatigue. Renewable power generation is a rising field these days with additional renewable energy sources being researched. Get the most pioneering power generation projects, topics and ideas for electrical and electronics engineering. Renewable power generation projects list for students, engineers and researchers. We at Asoka Technologies bring you updated lists of renewable energy sources projects using solar, wind, perpetual motion, footstep power generation as well as hybrid generation systems.